Anshu in 3 Words: Ambitious, amiable and optimistic. A dedicated and experienced Sales Executive, building a solid and reputable career through delivering consistently outstanding results for his large client base. 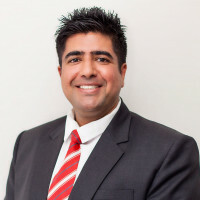 With almost a decade of industry experience under his belt, Anshu is passionate about the property market, keeping up to date with trends and researching the market to ensure he is able to provide his clients with relevant and valuable information, enabling them to make informed decisions about their personal circumstance. Anshu is a great listener and he works diligently to understand the needs of each individual client so that he is able to provide an innovative sales strategy tailored to fulfilling them. What He Brings: Anshu identifies his strengths as being his excellent co mmunication and relationship building skills, his outstanding negotiating ability and his capacity to perform efficiently under pressure. Anshu approach to his career is simple. I never dream about success, I work for it. It is this simple ethos, his determination and exceptional work ethic that sees Anshu overcoming any challenge the industry throws at him with ease. Key to his success is his ability to perform as a skilled mediator between buyers and vendors, capably guiding both parties to a desirable outcome for all. His positive and enthusiastic attitude make him a highly valued member of the Stockdale & Leggo Laverton team. In his spare time Anshu loves spending his time with his family.